What is the “best shoe” you ask? It depends on what you mean by “best”. Best for your foot or best made? The two are often not the same. A “best shoe” based on quality may be a shoe made of premium leathers, perhaps hand crafted and with a high quality durable leather or rubber sole. 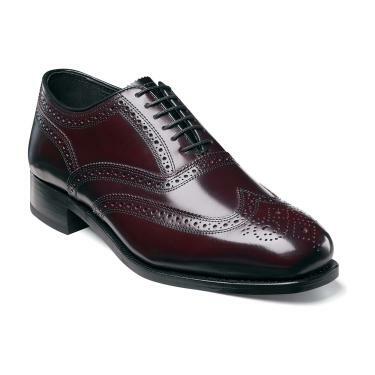 For men’s dress shoes, this might be an Allen Edmonds oxford. For women, this could be a Stuart Weitzman pump heel. Chances are when you searched for “best shoe” you meant best for your foot. Even that depends on what you will be doing in your shoes and getting a comfortable fit for your foot. If on the outside chance you work in swampy snake infested waters, you should be thinking about Danner’s Pronghorn snake boots. If on the other hand you are looking for something to wear around the house, walk out on the deck without getting splinters and run some short errands, Allbirds Wool Loungers may be just right. The point is, do not mistake “best” quality with “best” for your foot. What is best for your foot is a shoe that is comfortable and well suited for your activity. It could very well be an under $20 pair of shoes from Walmart (which I have seen a number of my patients wearing) or something else ten times as expensive. It all depends. Below are some specific recommendations to help you get started. I recommend the following brands of shoes and sandals (see below). They generally have better than average arch support and many of them have a remove-able liner, allowing you to use your own orthotic or arch support. Have your foot measured while you are standing. Determine both the length and the width. Then, use that information as a guide to try on shoes. You may very well find that a shoe an entire size larger is the most comfortable. Better yet, take out the shoe liners and stand on them. If your feet fit within the boundary of the liners, the shoes are likely to fit well. This section highlights a specific category of shoes currently most popular and generally well rated. This is not always the best way of determining what shoe will be comfortable, but, it may be a good place to start your shoe search. Currently highest rated women’s flats on Zappos.com as of April 8, 2019 include Cecilia by Sam Edelman, Scala’s Arcopedico, Cole Haan Bow Skimmer, Kenneth Cole Gentle Souls, and Ralph Lauren Glennie. This is by far the most difficult category as women want shoes that are fashionable yet comfortable. High fashion brands know this, and price their shoes accordingly. Do not be surprised if some of these shoes are more expensive than you might expect. Abeo, Aetrex, Allegria ( with roomy toe area and remove-able foot beds), Aravon, Beautifeel shoes, Cole Haan Grand Collection, Clarks (specifically the Clarks Unstructured collection), Earth Shoes (re-introduced from the 1970s with a negative heel), Mephisto, Merrell, Munro, Naturalizer, Propet, Samuel Hubbard, Stuart Weitzman (the Rialto or Domepump flats), Thierry Rabotin, Vionic (claim to have enhanced arch support), Waldlaufer (Classic collection for women’s dress shoes) and Ziera shoes which fit orthotics. Florsheim, Jambu, a new entry into the comfort shoe market, Johnston & Murphy, P.W.Minor, Rockport (check out the Rockport City Trails Mudgaurd as well as the Rocsports Lite and the Edge Hill), Samuel Hubbard and Timberlands, both shoes and boots. High Arch: People who have a high arch foot, called a ‘cavus‘ foot, should look for a ‘neutral’ type sneaker. If you have a high arch foot you do not need additional arch support and are usually better off with a ‘neutral’ type shoe. Most of the shoe brand web sites have a filter for you to indicate your foot type. On the Brooks site, you would check ‘neutral’ and not ‘support’. Once you select the correct filter, you should be directed to neutral shoes. In the case of New Balance, you would check ‘neutral’ and not ‘stability’ or ‘motion control’. As an example, New Balance Fresh Foam Cruz and Fresh Foam Zante are neutral and this entire page is a list of New Balance neutral shoes. This category is HUGE. A new and rising Swiss brand, called simply On, is getting traction with their collapsible pod technology designed to decrease underfoot pressure and sheering forces. The On Cloud X is one of the newest models bringing Swiss technology to running shoes. The following are brands/styles I have run in and found to be comfortable. Please note that shoe models change from time to time although the basic design often remains the same. I ran in Hoka One One Clifton 3 road running shoes and retired them after 430 miles and am about to retire my Hoka One One Clifton 4 shoes after 450 miles. They are a neutral light weight cushioned shoe with a roomy toe box. I now have about 280 miles on Salomon Sense Ride and so far so good comfort wise. They are showing some pre-mature wear under the heel and tearing around the forefoot though. Shoes I have used worn in the past include Brooks Pure Grit 4, which I used for several years. Asics, (I wore Asics Trail Sensor for years with good results) and the La Sportiva Wildcat trail running shoe and La Sportiva Helios trail shoes and I was very happy with them-light weight, ventilated, cushioned with good traction. Here is a link to RunnersWorld December 2018 list of notable running shoes. It includes Brooks Ghost 11, Reebok Floatride Runfast, Salomon Ultra pro, Saucony Ride ISO and Nike Zoom Pegasus Turbo which includes Nike ZoomX foam, which Nike claims helps increase speed. Scroll to bottom of page for info on Hiking, Trail and specialty running shoes. First, subscriptions shoes have arrived for kids! Pay about $20 a month and replace shoes as your kids outgrow them or whenever they get tired of their shoes. Easykicks is one of the leading subscription services and provides Nike and Converse shoes. For kids’ sneakers I still like New Balance, Asics and Saucony but whatever they are comfortable in is probably fine assuming they are not complaining of foot pain and have no specific foot condition. The more common brands for kids, Nike, Reebok and Addidas are okay but are generally more narrow and do not always have a remove-able liner making those shoes a tighter fit when adding an arch support. Geox are a good choice for a casual shoe that accommodates orthotics if needed and are available in big and small children’s sizes. Remember that kids 12-13 years old or even younger can start shopping in the adult shoe section starting with (big kid) size 6. The challenge is really for teenage girls who need a shoe that can accommodate an arch-support since current fashions for girls favor low cut shoes with no arch support, almost a moccasin. One brand which seems to work well is Venettini and the specific style is called 55-Lily. These shoes have an added elastic strap that holds the shoe onto the foot more effectively which is important if adding an arch support of some type. itself to most shoes that fit well. Any good ‘running’ shoe should be fine for walking. A good place to start for just walking would be with the following New Balance walking models for men or women: New Balance 813 for men or women has a very rounded toe box and New Balance 990, an overall oval shape which accommodates most feet as well as the 847 and the 928, which by the way, has plenty of room for foot orthotics. 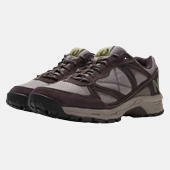 The New Balance 659 is a sturdy and durable walking shoe also okay for walking on trails. I also really like the New Balance 1080, which is a running shoe with a light weight foam mid sole that would be quite nice for walking about. Brooks Ariel 18 is a new road running shoe which has a lot of cushioning and quite suitable for walking. Nike’s Free Rn Fly Knit is a super light weight running shoe with an almost mesh upper that would also be a good choice. Light weight has real benefits for shoes. For running, multiple studies have determined that every 100 gram reduction in shoe weight also reduces the amount of energy required to run. Makes sense. I also recommend light weight shoes for daily walking around unless you need a heavier shoe. The past couple of years have seen a large increase in light weight shoes and specifically shoes with a foam type mid sole material that still have some arch support. I recently had a chance to check out the Addidas Boost running shoes which have ample arch support and are very light weight. Other brands with foam soles that are equally or more light weight include Nike Epic React and New Balance Fresh Foam, among others. Outside magazine 2018 list of best hiking boots includes on the most innovative concepts, Tecnica Forge GTX (heat moldable to your foot! ), Five Ten Access Knit (lightweight shoe), La Sportiva Stream, Scarpa Kailash Trek and Aku Tenga Lite. Brands I can personally recommend include Danner, Five Ten, North Face, Garmont, Merrell, Salomon, Vasque, La Sportiva Wildcat ( I have hiked in Vasque, Garmont, Five Ten Guide Tennies* which have very good traction, and I have run and hiked in La Sportiva Wildcat* and La Sportiva Helios trail running shoes which have good traction and are stable.) Nevados and Timberland are also options. Even the originators of extra cushioned running shoes now provide a hiking boot, a Hoka One One thick soles boot. This is a huge category that now includes road running and trail running shoes as well as minimalist, maximalist (Hoka One) and zero drop shoes (Altra). No research has validated one type of shoe over another as better for preventing injuries. What the research seems to show is that shoe selection is very individual. You should wear what feels most comfortable to you. That being said, some studies have indicated that zero drop shoes may be easier on your knees but worse for your achilles tendon. Minimalist Running Shoes: New Balance Minimus Collection, Merrell and Vivobarefoot. “Zero Drop” shoes, meaning the height of the heel and the height of the forefoot are equal: Altra. Trail running shoes for 2018, rated best by Runners’ World magazine are here. This is a large category, especially for women trying to wear fashionable and comfortable boots. Here are several ideas to consider. Consider Chaco boots. They have mastered foot friendly sandals very popular out west and now have boots available. Dansko, the clog company, has also been making closed shoes and offers boots as well. Their clogs, shoes and boots have a stable supportive platform and room for the toes. A new entrant into foot friendly shoes is Strivefootwear with a small offering of boots, but worth considering. Another brand to consider is Tom’s which donates proceeds from their sales to causes around the globe. Their styles are generally sensitive to comfort. Vionics has made a name for itself with sandals and shoes that include arch support. They also sell fall boots with a foot bed you can remove. And of course, I have to mention Uggs classic short boot as well as other Ugg styles. I recommend wearing a sock of some sort with Uggs to prevent sweating up the interior of the boots. And, ‘cowboy’ boots can also be considered. While they appear pointy at the toes, the foot bed is actually elongated, providing adequate toe room. Two leading brands are Ariat (which I have personal experience with the Heritage Ropers) and Justin boots. comfortable. I am okay with flat sandals or even flip flops if you have no foot issues. On the other hand, I do see some patients who develop heel pain after a summer of wearing flat flip flops. I would recommend acclimating to wearing fit flops or sandals, increasing the length of time you wear them each day by a few hours. Several sandals incorporate generous amounts of arch support, among them Abeo, Allegria sandals (which accommodate orthotics), Chacos, Birkenstocks, Fit Flops, Keen (sandals and water shoes), Israeli Naot sandals, Hawaii inspired OloKai, Reef (more flip flop than sandal), Rainbow (in leather, hemp and rubber materials) and Teva brands. * reviewed by Dr. Friedman here.